When the Stars Align! Kittee Bern’s Teff Love! Review (Gush Fest) and Giveaway! 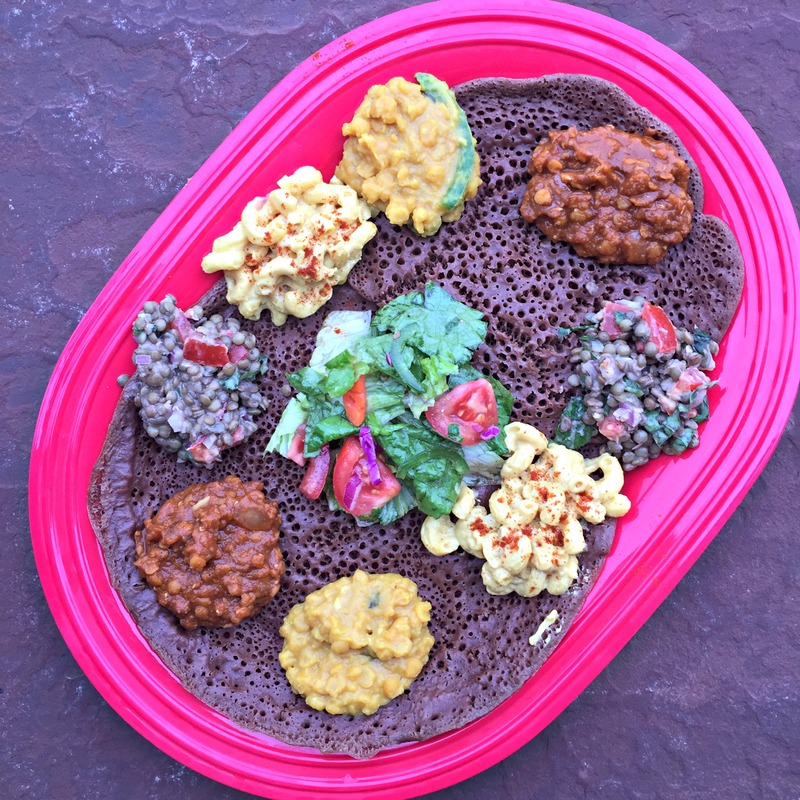 Platter of Yum: with homemade 100% teff injera, spicy red lentil wot, mild yellow split peas in a creamy sauce, Ethiopian inspired Mac and Cheesie, Tangy lentil Salad and a tasty green salad with Italian Salad dressing. Luckily for me, I’ve been stalking Kittee Berns of Cake Maker to the Stars for quite some time now. The infatuation/hero worship began when I first ran across her crazy awesome blog, and then found out she’s been vegan for 23+ years. Kittee is incredibly talented inside and outside the kitchen! She’s forever cooking/crafting/knitting/sewing all of the most fantastic things! A dear friendship has developed out of that stalkerhood and sometime in the last year I became an unofficial recipe tester for Kittee’s debut cookbook, Teff Love. During that time period, I’ve developed a serious hunk of burning love for all foods Ethiopian and sprinkled with berbere. Ethiopian spiced hummus with toasted sunflower seed butter base, quick teff crepes and a bit of greens with Italian dressing on the side. As you know, I LOVE food. So it’s no surprise that I adore pretty much every ethnic food I’ve ever tasted, and it turns out that despite never visiting an Ethiopian restaurant (0r Ethiopia, obviously), Ethiopian food is my new favorite cuisine. The recipes in Teff Love are straightforward, well explained and mouth-wateringly delicious. Most of the ingredients required to make these recipes are simple whole foods you can purchase at any grocery store and the book is almost entirely gluten-free. However, like any different genre of food, there are a few specialty ingredients/spices that you need in order to make the recipes in the book, these ingredients can be purchased at an Ethiopian Market/Grocer or easily online. Buyer beware: make sure to purchase imported berbere for these recipes! It packs some heat, but it’s a very delicious and complex spice mix, while berbere that’s produced stateside is mostly cayenne pepper and is EXTREMELY spicy. Shehan Ful, these are some of the best beans I’ve ever eaten, and guess what?!? You eat them for breakfast! Though I’ve made them for lunch and dinner plenty of times too! If you’re like me and just wading into Ethiopian food bliss for the first time, Kittee has plenty of fusion recipes for you to dabble with that are all ready familiar and comforting to your palate like: brownies, crispy potato wedges, tofu scramble, vegan mac and cheese, pancakes and more. Outrageous Fudgy Mocha Teff Brownies! Look at the amazing crinkle top! Ethiopian spiced Mac and Cheesie and an Insanely good Tempeh Salad loaded with Apples. When you’re ready to take it to the next level and start making real Ethiopian food, Kittee holds your hand throughout the book and teaches you everything you need to know. The book includes menu plans, instructions for how to make your own 100% teff injera and even advice for putting together your own Ethiopian food shindig. My favorite thing in the universe right now is Kittee’s injera. The injera is a fermented sourdough type crepe and serves as a base for all of the delicious recipes that top its surface. Its texture is slightly spongy and stretchy and it absorbs the flavors from the foods that sit on top of it and makes for a gorgeous flavor explosion. I cooked my injera on a well seasoned cast iron skillet and it turned out perfectly. You can watch a short video of Kittee making injera and get more injera skills info here. I found out Kittee was going to be in my neck of the woods and I invited her over for lunch. I made her and her bubs (Dazee and Vee) an Ethiopian feast with some of the recipes in the book. I love that although this was the first time we’d “actually met” it just felt like old friends getting together. Our two hours weren’t nearly long enough! We gobbled up our feast and I still had plenty of yummy leftovers to serve my family for dinner that night. I’ve all ready got another batch of injera fermenting! Visit Kittee Berns at her blog: Cake Maker to the Stars. Read more about Kittee’s love affair with Ethiopian food here. 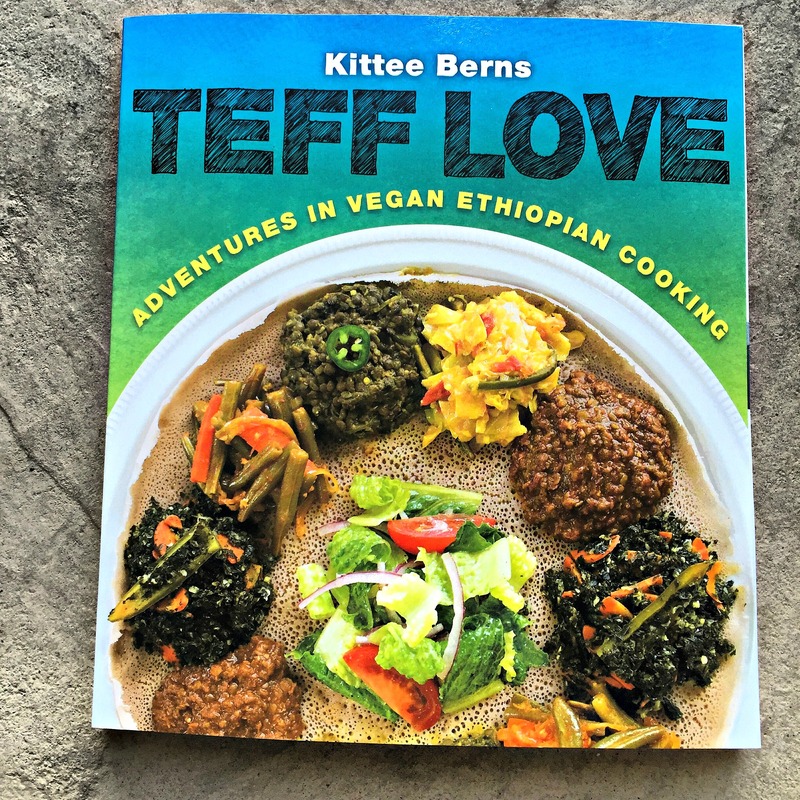 Purchase your own copy of Teff Love: Adventures in Vegan Ethiopian Cooking ! 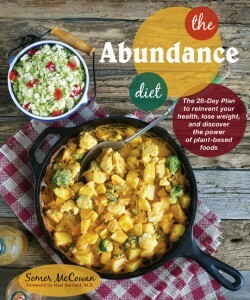 ← Umbrian Lentil Salad from Vegan Without Borders by Robin Robertson, Plus Review and Giveaway! This book looks like a lot of fun to experiment with! I’m crossing my finger, toes, and eyes until I win! I really love Ethiopian food, I need a copy of this book, this is so exciting!! Jenica, the food is fantastic! Good luck! I can’t believe how good that food looks. I am now starving. And I don’t want to wait. I want that food and I want it now!!!!!! Kara, thank you so much! It is every bit as good as it looks! Becca, I had never tried it before testing for Kittee! I’m amazed at how yummy everything is! i just read about this cookbook today in my local, “alternative paper.” The first thing that caught my attention was teff – I’ve been looking for the grain (or is it a seed) for several months at various groceries near me but with no luck. Guess I’ll have to order it online. I used to make it for my babies when they were ready for a cereal/porridge. Anyway, I’m studying Ayurveda these days and it seems like a good complimentary cookbook that would go well with some of the Ayurvedic principles around food. Plus the cover is gorgeous! Looking forward to buying it…. if I don’t win the giveaway, that is! Hi Janet! How cool that you recently read about this! About finding teff: I can get teff at several local grocery stores, even at Walmart, but smaller grocers carry it too. It’s usually found in the gluten free section of the store, most commonly you can find the Bob’s Red Mill bags. My health food store also has it in bulk bins. Ordering online is easy though if it’s really not available! Good luck! It is amazing and flavorful! I’ve enjoyed it so much! Good luck! I love Ethiopian food! Teff Love looks like the perfect book. I want that copy! Anna, it’s so great! Best of luck! Just looked at the book on Amazon, it looks wonderful! I love Ethiopian food. I absolutely adore Ethiopian food. There’s a restaurant near my house that I’d go to daily if it were a possiblity. Would love to try my own hand at making some delicious dishes. It’s delicious! And how lucky for you to have an Ethiopian restaurant so close! Making it yourself though is even more fun! Good luck! Love kittee. Love ethiopian. ❤ Love vegan. She’s the very best ❤ Thanks Urban Vegan! I would love to have you Ethiopian cookbook in my collection. The only time I enjoy Ethiopian food is when my adventurous friend will join me. I really enjoy the cuisine & yours looks delicious. It is delicious! The book is written by my friend Kittee Berns. Good luck! This looks simply amazing. I am such a huge fan of Ethiopian food and have been searching for some good recipes for injera and all the tasty lentil dishes! Leinana thank you! This book has all the secret answers to making the best Ethiopian food at home! 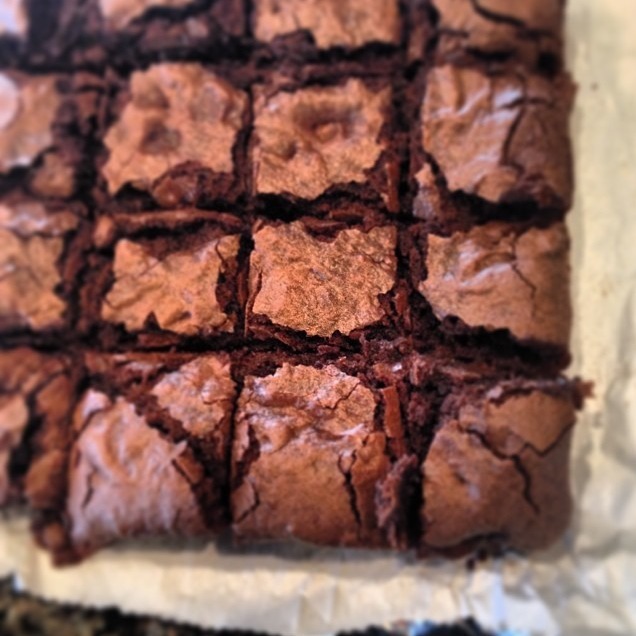 Everything looks amazing, but those brownies are making me want to gorge on dessert at 9:30AM! Kelly, OMGOSH those brownies were gooood! Oh, good lord, that all looks so amazingly tasty! Ha! Thanks Lizzie, everything was every bit as tasty as you can imagine! My goodness, everything looks so amazingly delicious! This looks absolutely incredible and exactly what a low budget, graduate school swamped vegan needs!!! Yes, it’s the perfect cookbook for those on a budget, aside from nabbing a few specialty ingredients, it’s so affordable! I haven’t had a lot of Ethiopian foods…but I have teff…and I love it! Awesome sounding book an Drecipes…drOOlimg! Teff is an amazing little grain! Ethiopian cuisine is so yummy! The recipes are fabulous! Good luck! We’ve been doing vegan Ethiopian food for months but her method for injera is definitely going to be tried in our kitchen! This cookbooks looks really exciting; I’m always on the lookout for new injera recipes and ever more uses for delicious teff. The injera was soooo good! It turned out perfectly! This book is the perfect solution for you then! Good luck! Ethiopian is one of my favorite cuisines! I like how creative she gets with the flavors and using them in non ethiopian foods. Anytime I go out for ethiopian I bring back all the injera and use it for anything from wraps to PB and J’s! I should really learn to make my own. I adore the fusion recipes! So much fun! Now that I’ve mastered injera, I’ll be doing the same as you and using it for everything! It’s so good! The method in the book is perfect! I wait all year for the International Festival so I can buy a plate of Ethiopian food (spicy lentils and injera.). But if I win….I could makes it myself! That’s the best! You could totally be making it yourself year round! Best of luck! Wow, how great is it that you two got to hang out! I’m super excited about this book. I’m a long time Kittee fan and got her Ethiopian Zines a long time ago. Really looking forward to the book! It was so wonderful! Kittee is such an amazingly sweet and generous person. I’m lucky to be her friend. I missed out on all the zines, so I’m really grateful to have this cookbook! Dave you are so welcome! She’s just the best! OMG!! I LOVE teff but i’ve never cooked with it! I have to get my fix at Queen of Sheba, our “local” (i.e. ONLY 45 minutes away from my house) Ethiopian restaurant. This would be an amazing way to experiment and get some of my favorite flavors regularly! SO EXCITED! I’m excited to try these recipes, win or lose. I haven’t had Ethiopian food since an International Fair at UMASS Amherst a million years ago. Yum, my mouth is watering now, have to go cook something thing now. I have never had Ethiopian food, looks like I really missing out. I have only recently adopted a vegan lifestyle (6 months) , and now can’t imagine any other way of eating!! I have only ever eaten Ethiopian food in restaurants. The spices used are wonderful! I’m intrigued by this entirely new-to-me world of Ethiopian cuisine! I keep hearing about how good it is! i love Ethiopian food, but we don’t have any restaurants in the area. I should really learn to make it at home. I have never had Ethopian food — but if I win this book, I will sure try it out! I’ve never tried Ethiopian food before, but it all looks amazing. This book sounds like a winner! Sure would like to try Ethiopian food with the family! Pingback: Teff Love by Kittee Berns | Recipe + Review!